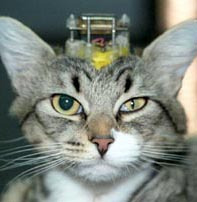 ACTION ALERT: Stop Cat Experiments at Ben Gurion University !!! Noted,signed and posted on Facebook,thank you Simone. This is cruel..but then Israel has shown cruelty and has surprised me after all of their suffering. Signed with PLEASURE, PRAYERS and MY GOOD HOPE that this ENDS..
Forgot #'s sorry dear Simone, forgive me! Signed. I think they just get off on torturing animals. I can think of no other documentation or proof these experiments are necessary. It's just antiquated crapola. Noted and signed! Thank you Simone!! Poor cat .Signed and noted. Thanks, Simone! Signed petition and shared. So cruel and pointless, it makes me sick. Thanks Simone, signed and sent letters. You cannot currently send a star to Simone because you have done so within the last week.